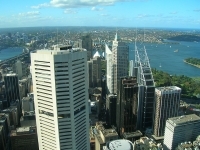 New South Wales is most celebrated for Sydney, which draws hordes of tourists with its many urban attractions. The city's most famous landmarks include the Harbour Bridge, the Sydney Opera House and the Sydney Tower, but the city is also renowned for its stunning beaches, fun nightlife and great restaurant scene. 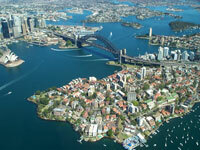 Although Sydney is Australia's premier tourist destination, travellers would do well to investigate the state as a whole, as New South Wales certainly has a lot to offer beyond vibrant Sydney. New South Wales is an outdoor adventurer's dream, with varied mountainous, coastal and desert landscapes providing a playing field for hiking, surfing, snorkelling, scuba diving, kayaking, whitewater rafting and even skiing. 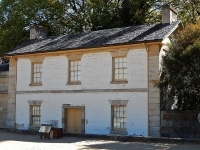 Popular New South Wales destinations for adventurers, and those simply in search of natural beauty, include the Blue Mountains, the Snowy Mountains, Lord Howe Island, Hunter Valley, Barrington Tops National Park, Byron Bay, Coffs Harbour, Port Macquarie, Newcastle, Jervis Bay, Jindabyne and Hawkesbury Valley.